The summer’s over and we’re all “back at it”. You may have had summer holidays and feel re-charged and ready to tackle the upcoming fall and winter seasons. But for many non-profit staff facing a mountain of work and few resources, or volunteers trying to balance a full-time job and a hefty volunteer workload, burnout can seep back in pretty fast if you continue to set unrealistic expectations. Perhaps now is an ideal time to take steps to find some balance before burnout sets in. What’s the difference between just being busy and reaching the “burnout” stage? “our minds, the thinking goes, only have so much capacity for any one type of activity, so we have to build that limitation into our daily routines if we want to work effectively." If you are trying to juggle a full-time job and volunteer responsibilities, it can be easy to get side-tracked trying to respond to volunteer-related emails in the middle of your work day. But if you try to set priorities and block out specific time to check emails and return calls, you may find you are more productive and focused on the task at hand. I know from experience that stress can really mount when you obsess about the ever-building “to do list” instead of chipping away at it one task at a time. There’s no question that whether you are a staff person at a small association or non-profit, or a part-time volunteer with a day job, there will always be more work than time. But if you consistently expect your mind and body to cope with a constant state of urgent response, you’ll soon flame out. Your body’s stress response is like revving your engine to 100 mph for long periods of time while stationary – you won’t get anywhere, but you’ll burn out the engine. Do you need to "wave your white flag"? If you’re stressing out even before the season starts, as Tara Collins suggests you might want to “wave your White Flag and surrender” or at least make some serious changes to your commitments and daily routines. So as the fall season (of event planning, year-end fundraising, membership renewal campaigns and a multitude of other projects) gets underway, try to focus on “energy management” to ensure you find some balance. I’m not going to patronize you by suggesting this will be easy. But perhaps this fall can offer a fresh start. If you think about it now, before you get swamped, you can take small steps to prioritize and focus on what is truly important. 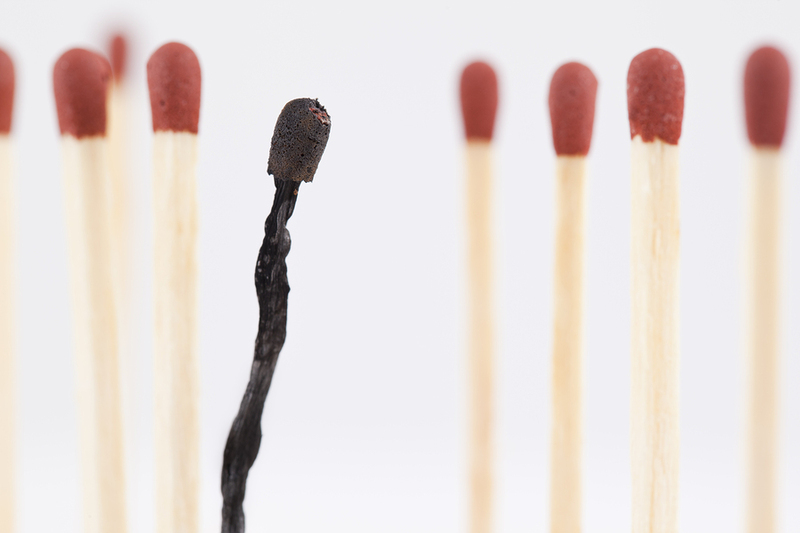 What strategies can you offer your association or non-profit peers for avoiding burnout? Please offer your tips in the comments below. Yes, it's certainly critical to have time to refresh and reset so that you can see what is going on from the 30,000 foot level--instead of always the ground putting out fires. Strategy retreats are important for this reason. I believe it's key for orgs to embrace and promote live/work balance among staff and in the larger community. Julie: Thanks, I agree that live-work balance needs to be built into the organization's culture.